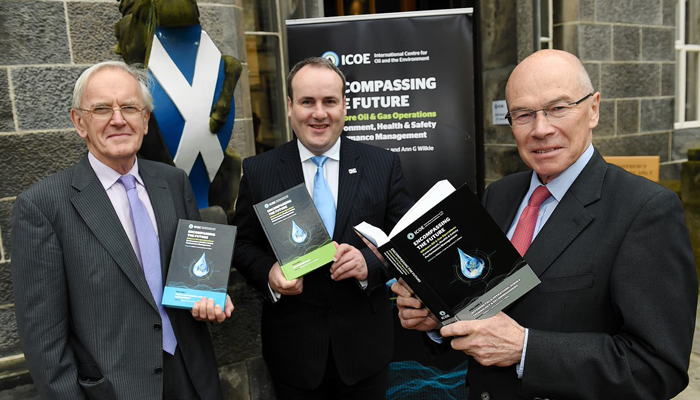 The International Centre for Oil and the Environment (ICOE) has recently launched its publication titled: Encompassing the Future; a three volume, ten section and 59 chapter publication in print and digital format which draws on 40 years of inter-disciplinary knowledge and experience in environmental, health and safety and performance management. The series is compiled as a leading authority on EHS (HSSEQ) practice in offshore oil and gas operations, with the goal to provide industry practitioners, educators and students with a ‘must have’ comprehensive resource on the principles and practice of environment, health and safety management. The report, which will be updated continuously, involved 60 authors and 10 editors. The idea is that it will be a knowledge repository to help the industry, today and tomorrow, deal with the challenges it faces and prevent incidents happening. EnvAid has contributed Section 4, Chapter 6: Stakeholder Interaction and Perception in Environmental Management. Read more about the ICOE e-Publication Project here. This chapter examines the changes that have been and are occurring in the field of stakeholder interaction and perception in environmental management of the UK offshore oil and gas industry. After summarizing how stakeholders have responded to the rapid development of the oil and gas industry, a description of current best practice in stakeholder interaction is provided. This is followed by an investigation into the reasons why stakeholder pressure continues to increase and concludes by suggesting a radical change of strategy in this field.